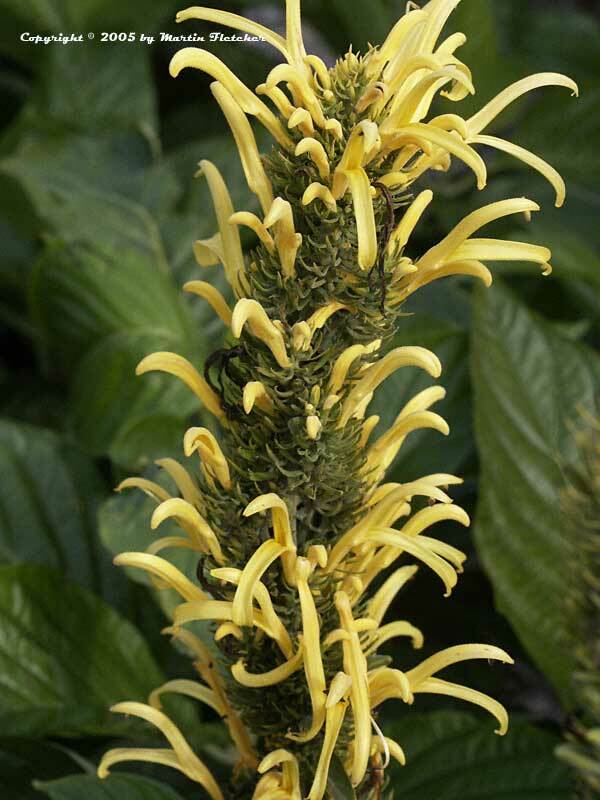 Justicia aurea is a large tropical looking shrub. The Yellow Jacobinia can get to 10 feet tall and wide. Justicia aurea requires a frost free location. They can be in full sun near the coast but prefer a little shade. And they require full shade if planted inland. Justicia aurea prefers a moist but not soggy site. Justicia aurea plants look better with the removal of spent blooms. Yellow flowers and foliage of Justicia aurea - Yellow Jacobinia. High resolution photos are part of our garden image collection.